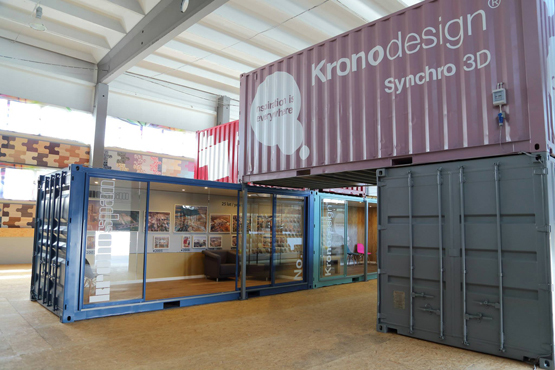 Kronospan exhibition stand for the presentation of a wide range of products. 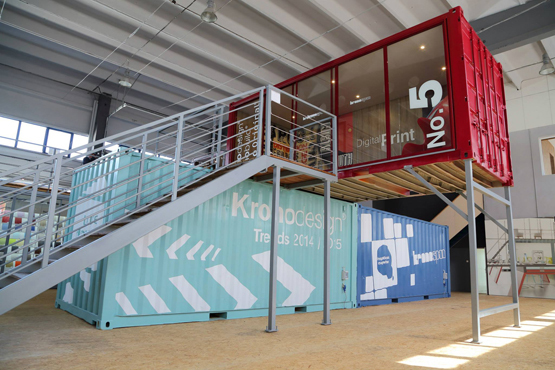 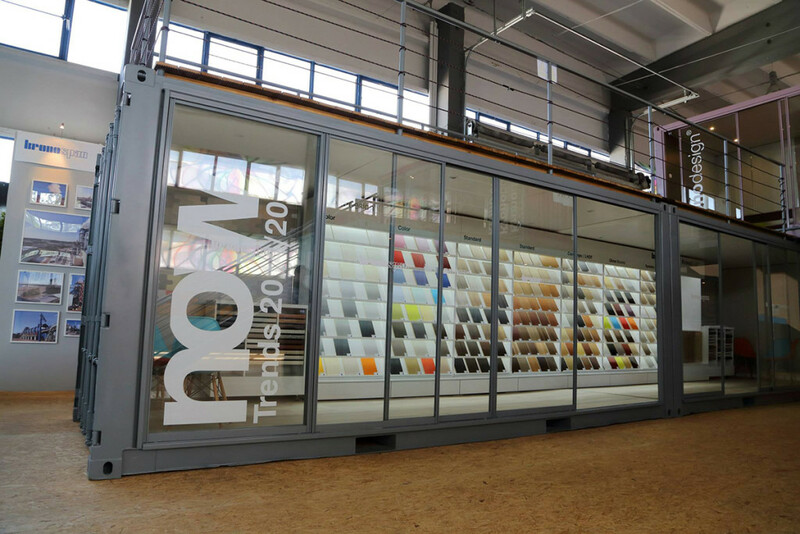 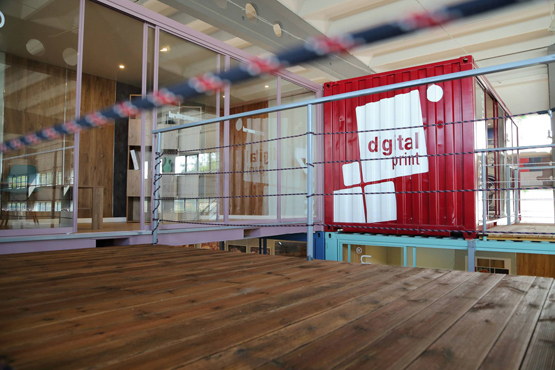 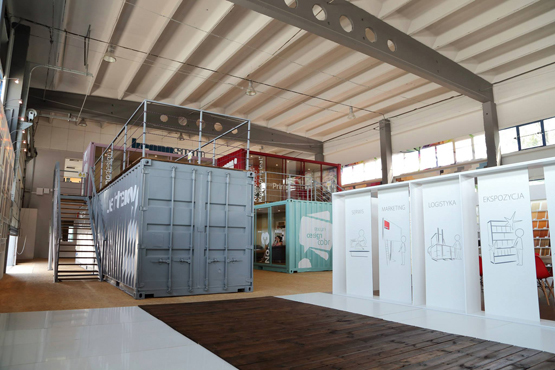 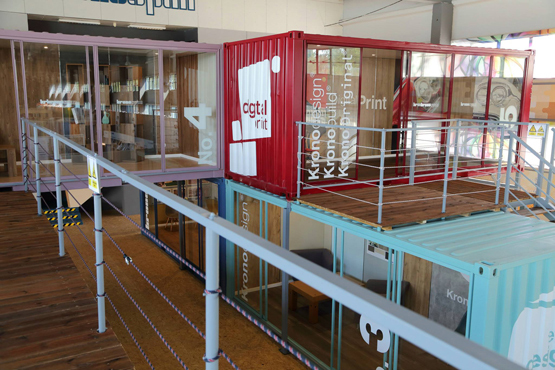 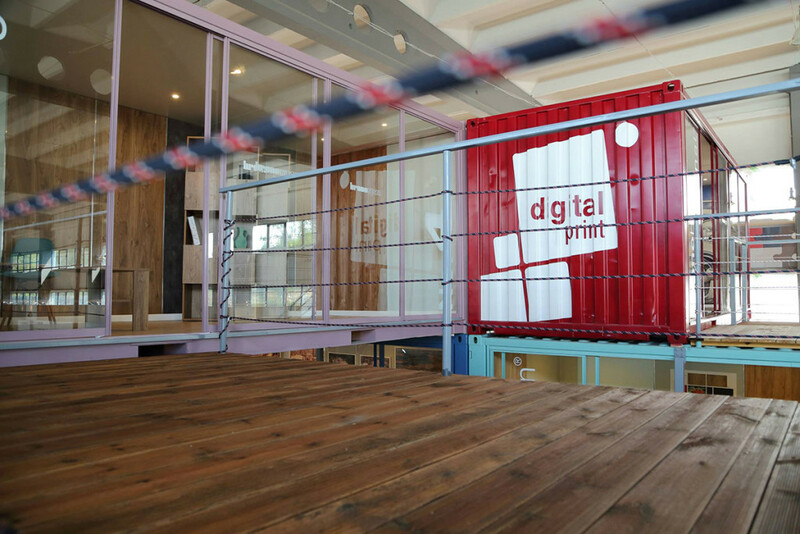 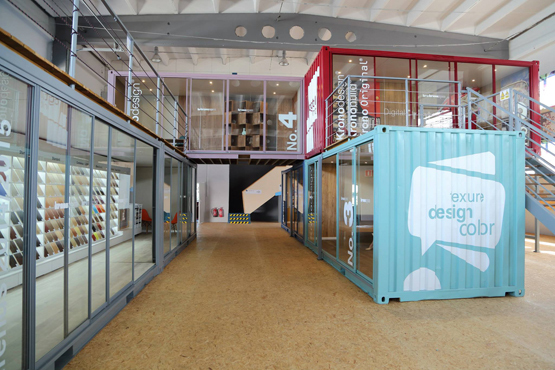 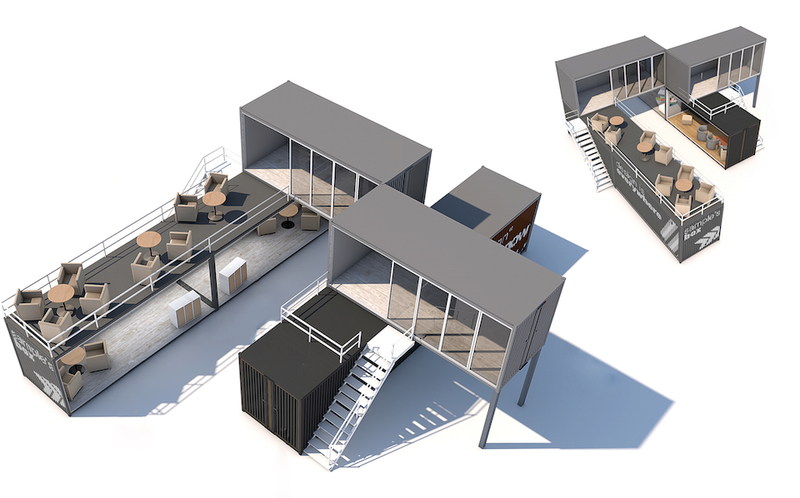 The container interiors are finished with elements produced by Kronospan (floors, panels, strips, plates). A two-level facility built for the event Hausmesse 2014.